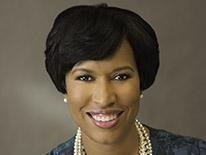 (WASHINGTON, DC) – (RealEstateRama) — Mayor Bowser celebrated a record annual investment in affordable housing—in fiscal year 2018, the Bowser Administration was able to commit $167.6 million from the Housing Production Trust Fund (HPTF) to projects that will create or preserve affordable housing for Washingtonians. This historic achievement was announced at the groundbreaking of Delta Towers, a 100 percent affordable community in Ward 5. For three straight years, Mayor Bowser has exceeded her annual commitment of $100 million to the HPTF, the Administration’s portal to produce and preserve affordable housing in the District of Columbia.